Today we are going to share our research and testing results regarding best budget external hard drive. After more than 24 hours of testing through copying and shuffling and wiping data from more than 12 external hard drives, we concluded that WD Elements 1TB Portable External Hard Drive is the best amongst all. In today’s world of technology, an average internet user generates at least 2 GB data per IP. Each and every day we are filling our internal hard drive little by little. Transferring data by external methods also evolved with us. Simple pen drives cannot cut it anymore. 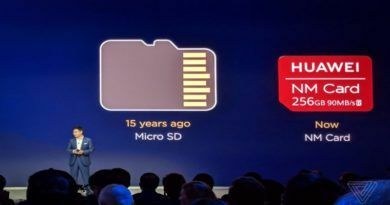 As a result, we changed our preference to portable hard drives which provides lots of disk space (generally 64 times of a pen drive) and also easy to carry. I personally love cloud services over portable hard drives or pen drives. But it is always wise to carry the data physically if you are going for an important work or having some important/frequently used data to access. You can rely on physical data in terms of internet outage/disconnection. Keeping all these in mind we have conducted our testing to provide our readers with the best portable hard drive of 1TB they can buy without spending a fortune. Till date, I was using a very old model of an external hard drive which was Seagate GoFlex Pro and it is still working nicely without any issue (7 years and running). I still love this hard drive. But I felt a need of a bit more of space. And went through with my decision of buying WD Elements 1TB. The performance was amazing and it was really was pocket-friendly. 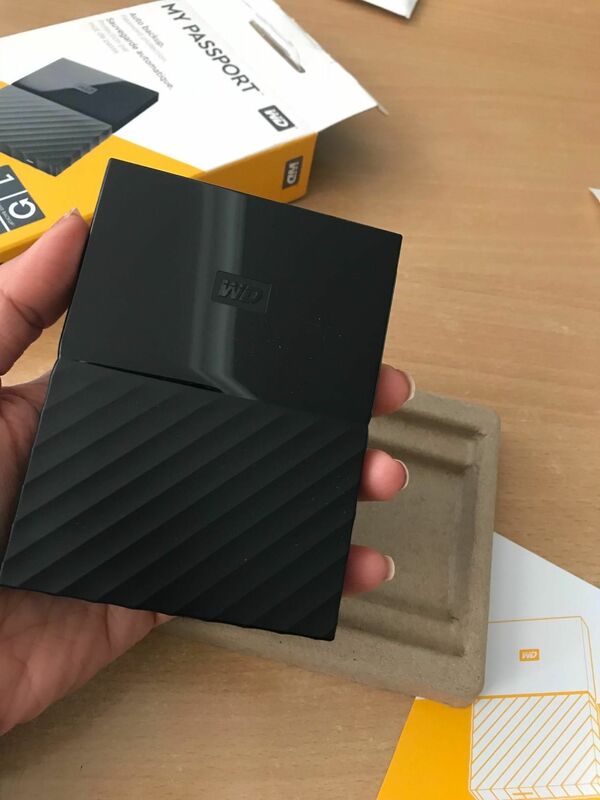 At that moment itself, we have thought “why not find out which is the best budget external hard drive of 1TB?” And so rest of the story is here we ordered/collected/borrowed our selected hard drives and went on with the testing. WD or Western digital is one of the best storage device manufacturers. And I know most of the readers are familiar with the name itself. Their internal hard drive such as WD BLUE 1TB, WD Black 1TB, WD GREEN 1TB, and WD PURPLE 1TB is famous among many users. WD Elements 1TB External Hard Drive is one of their best product in term of portability, speed and looks. It fits all the criteria of having the title of “BEST BUDGET EXTERNAL HARD DRIVE”. During our sessions of testing, we experienced a high-speed read and write rate with each of our test cases. Without any copy failure or connectivity issue. Elements provided a seamless constant flow of data throughout the sessions. It excelled in our multi-session file transfer test and shown consistently faster speed than the competitors. The reliability was as per while using this hard drive. We have not faced any kind of data leakage in this long hours of testing. WD Elements is not the slimmest hard disk in this list neither the lightest one. But It certainly is not that bulkier as it is shown in the picture. The hard disk is around 172g heavy and will fit into your pocket easily. It might be hard to fit the hard drive into your shirt pocket but it easily slips into your jeans or trousers. Element measures 4.35 inches in length, 3.23 inches wide and 0.59 inch/15 mm (500GB to 1TB) in thickness. WD Elements is quite compact in design and has a matte finish over the whole body. The sides are covered with a glossy material which provides an outstanding look to it. If you are a business person or likes your gadgets to be a bit classy, this hard drive will suit your style by all the means. The material used in the outer body is very hard plastic. It provides quite a sturdiness to the hard drive. We performed some drop tests over it (not 5ft, 10ft tests) and it survived without a scratch. The Company logo is written with a white color and above that, there is the USB connection port. The USB cable provided is also very sturdy it was built for longevity. The hard disk LED is at the right side of the connection port. To check the read and write speed of the hard disk we made some custom test cases. We made 4 folders of media and text files. 1st folder sized 48 GB filled with HD Wallpaper and photos. A 2nd folder filled with 60 GB Blu-ray movies. The 3rd folder filled with 320Kbps songs sized 20GB in total and finally 4th folder filled with text and document files sizing 15GB (more than 3k txt files with jargon texts 😛 ). Then we put it on to test by copying each folder to the HDD and back to our test PC. Every time we took notes about the time it spent on copying each module. We repeated the tests 5 times and noted the average time taken per GB. For the 2nd part of the test, we used HD Tune Pro on the hard drive. HD Tune Pro is a bench-marking tool for storage devices. It takes notes about the access time, transfer rate, burst rate, CPU usage. You can also check your hard disk health or check for any errors using it. After a series of testing, we were quite satisfied with the results. The read and write speed for the hard drive is really exceptional at this price point. It averaged 85 Mbps writing speed which is the 2nd highest count in this list. The WD My Passport was a little bit faster while transferring the 60 GB Blue-ray folder. 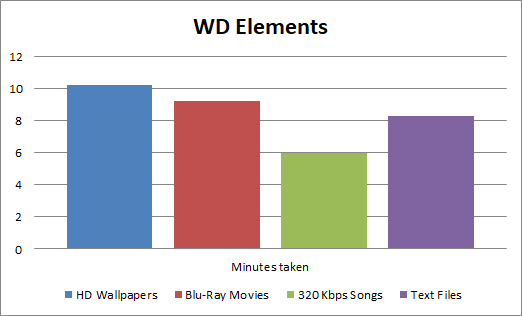 But in a multi-session transfer test, WD Elements was the fastest in its league. The main reason for us to choose Elements over Passport was the reliability and lowest failure rate. The durability test was again a challenge for us. We needed to perform how much the hard drive can take and if any problem occurs or not. We performed a simple desk drop test, some scratch test, and a little bit of flex and stress test. In all of our test WD Elements really performed well. The build material was very high quality and provided strength to the exterior. We observed no flex while trying to bend it a bit. And due to the rough matte finish, the hard disk was not that scratch prone. It passed all of our tests with ease. We put the USB connector under our torture also. We pulled it, stretched it, bent it, and hit it multiple times and it doesn’t reveal any kind of weak spots. To summarize it up we put our faith into WD Elements as it was able to absorb any kind of shock, and held up quite good against back and fabric frictions. This hard drive doesn’t support any TV connectivity. We tried to connect it with many Smart TVs but failed to get it detected. So please keep that in mind before buying it. It supports mobile OTG connections fine tough. 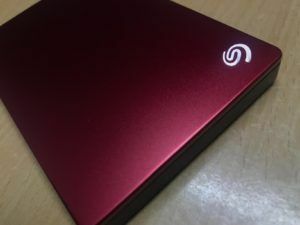 So if you need your hard drive to be connected with your TV go with our 2nd best budget hard drive Seagate Backup Plus Slim. WD Elements 1TB comes with 3 years warranty of Western Digital. You can be quite assured about the warranty and their world-class customer support. The brand cares about the customers. In most of the time, you will get your defected items fixed within 1 week. It is very unlikely you will have any kind of problem with this piece of hardware. I have been using it for 8 months now and still faced no issue. One thing worth mentioning that we did not receive any software with the hard drive. It comes clean no WD backup software, no password lock software nothing. If you want password protection you have to download or buy one at your own risk. It will not void hard drive’s warranty if you install any software over it. 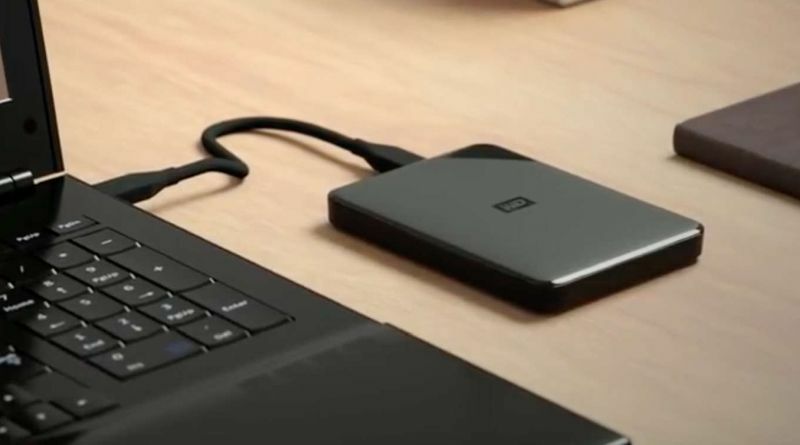 "Maximum transfer rates USB 3.0 connectivity delivers maximum performance for transferring files to and from this drive." 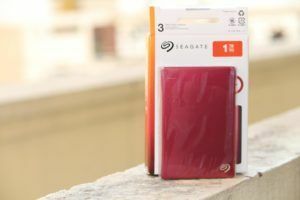 If our best pick is unavailable at the moment of purchase then our recommendation will be to go with Seagate Backup Plus Slim. 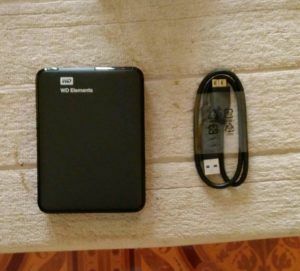 This is our 2nd best budget external hard drive. It lags really very slightly behind to our best pick in the race. Till our all our testing scenarios this hard drive was toe to toe with WD Elemental. When it comes to customer support elemental took the cake. Otherwise, you will get really very similar if not better performance from this hard drive. Here we are considering only 1 TB models of each hard drive. But if you are thinking about future expansion our recommendation will be to go with 2TB right from the beginning. With 2TB hard drives, you will actually get low cost per TB and will be free of the hassle of maintaining multiple storage devices. Comparatively lighter and smaller Seagate Backup Plus Slim outranked most of the entries right at the beginning of testing. And we can assure you with this hard drive you are getting reliability. Reliability is the top prioritize factor for choosing an external hard drive. Backup Plus is made up of a hard plastic casing with a glossy finish. Surprisingly the casing is hard enough to survive a fall from the desk but light enough to be the lightest entry. It weighs around 159g the lightest on this list and similar in the dimension of our best pick. It is exactly 0.48 inches thick and 4.47 inches long which makes it easy to throw inside your daily backpack. Or if you want to carry it in your pocket that can easily be done either way. Seagate Backup Plus is really keeping the reputation of its name as Slim. As the hard drive is only 2.99 inches wide and is the slimmest device of this list also. There are many color choices comes with Slim. If you prefer you can go with the classic Black or you might choose red, white, gold, blue or silver from the available list. But before buying any color other than black please check the price before buying. The price of other colors varies a lot on e-commerce websites. For check read-write speed of this external hard drive, we performed same tests as our best pick. We copied and pasted those same data more than 5 times and took notes. We used HD Tune Pro to determine the results accordingly. In every scenario, the results were quite satisfying to the core. In some cases, it even performed better than our best pick. 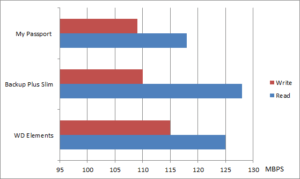 As you can see above the calculated write speed taken for each of the test scenarios is better than WD Elements. Not by a lot but by a bit it is overshadowing our best pick in the matter of writing speed. The full comparison of all the entries is shared at the bottom. Backup plus took lesser time in every scenario but one. In the 4th item (consists of text files sized 15GB) multisession transferring test our best pick beat Backup plus consistently every time. Backup plus reached a read and write speed 87.3 MB/S and 86.3 respectively while 2nd test scenario (60 GB Blu-ray) was performed. This speed is slightly better than our best pick. After testing all these speeds we got curious about the stock cable that comes with the pack. What if we can use a better USB to Micro B cable to get better speed? We again ran each test with Storite 3.0 A to Micro B SuperSpeed cable. And the result was too good to believe. We observed at least of 30% boost in speed in about every scenario. So if you spend a little more with your external hard drive we recommend you get 35 cm Storite USB 3.0 A to Micro B cable. Gold plated or not is up to you. As mentioned before Backup Plus has a very lightweight and quite premium in feel. Because of its lightweight, it doesn’t obtain much momentum if it’s dropped. It absorbed a significant amount of the shocks of falling without even the slightest crack. But the glossy part of the hard disk is very scratch prone. It attracts scratches like sugar attracts ants. It would be wise if you use an external hard drive cover with this product. During our flex test, we put lots of pressure to bend the backup plus. But quite surprisingly it didn’t even creak in any circumstances. 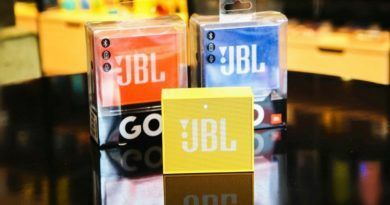 The plastic case is pretty high quality at this price point and you will not feel any regret buying this product. Please take note that a physical impact can kill any hard drive. If your hard drive fell and survived then consider yourself lucky. Seagate Backup Plus Slim comes with great deals and offers. This hard drive you will get with many color options to suit your personality. To make the hard drive more mobile friendly backup plus is housing one 3.50 Watt-Hours battery weighing around 5gm. This battery will provide the additional power when the external drive is connected to some of the mobile devices. The battery drainage issue for any kind of mobile device will disappear if this hard drive is in use. 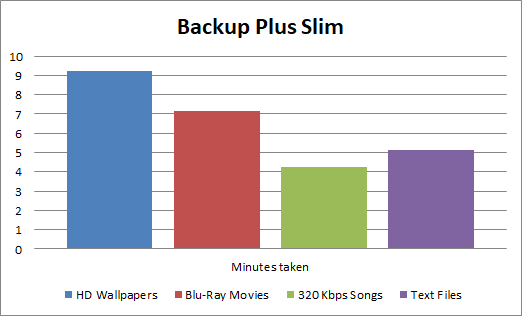 Backup plus also support in many of the Smart TVs. We have tested in Sony, Samsung, Philips and recently Xiaomi Mi-TV. It got detected by all of them and we were also able to play 4k movies. It comes with 2 years of free subscription to “One drive” cloud with free 200GB of disk space. You can simply continue with this 200GB plan for 2 years to keep your backup synced with the cloud. The Backup plus also comes with an user-friendly software to manage your storage. The Seagate Dashboard software lets you back up our mobile devices or your pc in the drive itself or on the cloud. We can also restore from the backup files stored in the drive or stored externally. The only regrettable point and the major drawback for this hard drive is the customer support. Seagate provides only 2 years of warranty on this device. 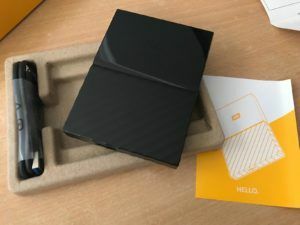 Whereas WD is providing 3 years of warranty with every one of their storage devices. The customer support of Seagate is also not very customer oriented. They talk in a very rough tone and unprofessional manner (many complaints). Not answering the mails on time or ignoring totally if you are asking for data recovery within the warranty is a basic thing. 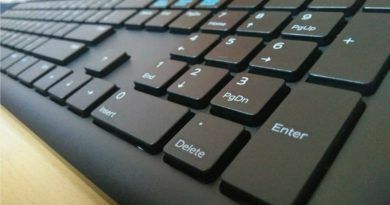 Many people reported grievance regarding the data recovery issue. Ideally, it should be free but in many cases, the customer support team asked for bigger amounts. But if your product is defective or anything happens within these 2 years. You will definitely get a replacement or you will get it fixed within 7 days itself. "Slim is an easy way to protect and share your digital life. Ready to go with up to 1TB of storage space for your most important files." And finally, we are here at our 3rd best budget external hard drive which is WD My Passport. If both of our best pick and the 2nd best pick is unavailable due to any reason. Or if you are in a need of WD external device only with some color option our recommendation will be WD My Passport. There are very few reasons for us to put this hard drive in the third place. The competition was neck to neck in every case in this list. But due to lack of stability and little high failure rate, we are putting My Passport in the third position. My Passport is having a very unique build you can check that from the product image. This build actually helps to get a better grip. The design is divided into two parts. The top half is of glossy finish and the bottom half having a textured matte finish. The hard disk size is really very small and quite sleek. The images might give a wrong impression but it actually can be held in one’s palm easily. This hard drive comes with many color variants to choose from. Red, Blue, White are the ones always in demand. So be careful while choosing a color the price point must be different. We are writing about the black variant only. 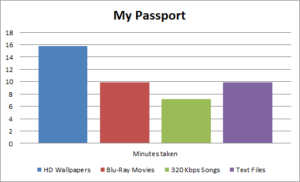 My Passport is the heaviest hard drive of this list roughly weighing 245 gm. It is 4.34 inches long 3.21 inches wide and exactly 0.5 inches thick quite suitable for carrying around. You can slip the hard drive into your backpack or inside your pocket. My passport is built with a quite high-quality material. It is one sturdy little hard drive but quite scratch prone to the glossy side. When we tried our bend test, we did not observe too much of a flex (it is having a little amount of flex to it). But it never made any kind of noise while performing the bend test. The connector cable that comes with it is also made of high quality. You can tell by the feel of it that it will last for a long time. Similar tests were performed on this drive and the results were as expected. My passport’s performance was good in those tests. 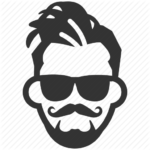 It gave us quite a good reading and writing speed for all of the test cases we have performed. It slowed down a bit when we started our 4th test folder (texts and documents) but it was quite acceptable. We were able to achieve a reading speed of 81.77 MB/s while copying the Blue-ray folder and 85.82 MB/s while writing to the drive. Speed increased a lot when we made a re-test with Storite 3.0 A to Micro B SuperSpeed cable. You can refer the above chart to find out the competitive graph of the speed. My passport is made of pretty high-quality material giving it quite a good durability against external shocks. The patterned build will give the user quite a firm grip on the drive resisting it from falling by mistake. During the bend test, we observed very little flex on the outer case. We didn’t observe any creaking sound but felt could be felt. 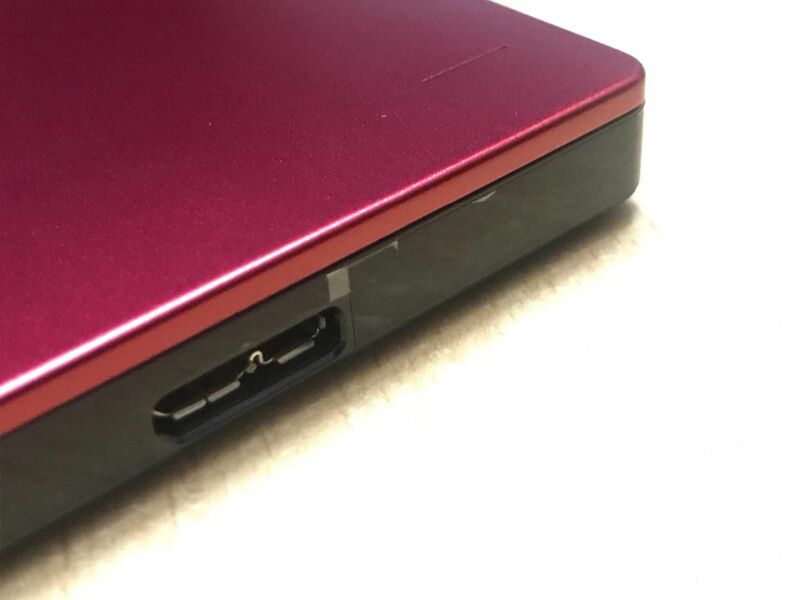 The USB connector that comes with the hard drive also as colorful as the drive itself. It made out of good long lasting material. Bend it, stretch it or pull it, the cables will remain good after all of your torture. It certainly is one eye-catching piece of wire. 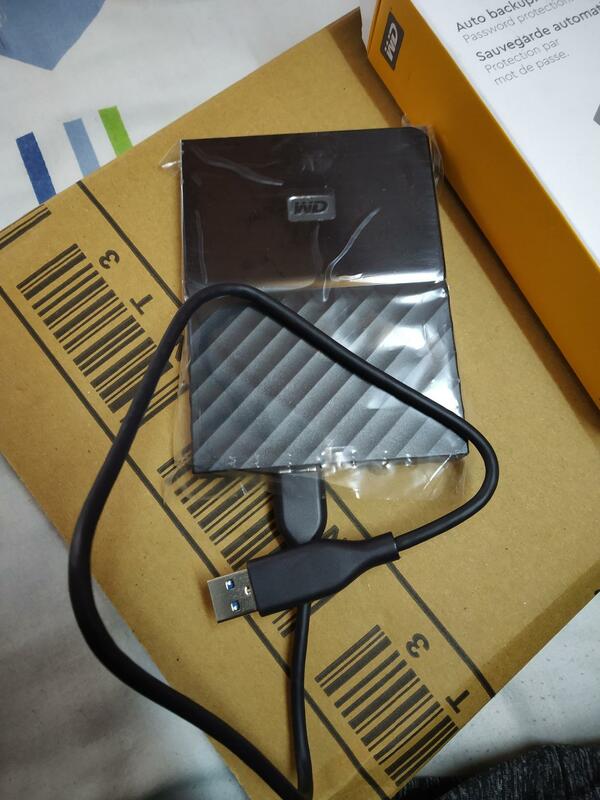 Similar to our best pick WD My Passport also get 3 years of warranty from Western Digital. You have to register your hard drive with the serial number and proof of purchase on the WD website to claim the 3 years warranty. Their customer service is top notch. My passport plus comes with WD Discovery software for free. With the help of it, you will get access to all the tools provided by WD. WD recovery software is part of that one. You can use that to backup data as you wish or automatically. 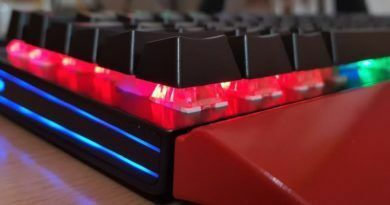 This feature is missing in our best pick as that model doesn’t come with any of the WD software. You will also obtain WD Security software which can be used to turn on 256-bit AES hardware encryption to secure your data. One “return-if-found” message also can be configured if your hard disk ever gets lost (yup very few good people still exists). "The My Passport portable hard drive is trusted to store the massive amounts of photos, videos and music you love. " Seagate Expansion 1TB Portable Hard Drive : The Seagate STEA is a portable expansion hard drive for storing files, movies, TV shows, videos, images, games, etc. The hard drive is compatible with the latest operating systems such as Windows, Mac OS, Linux, etc. 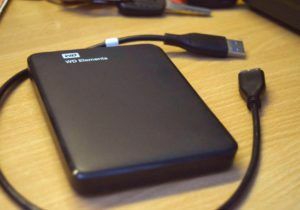 The hard drive can be used to store excessive files from your laptop of computer or to clear up space form your desktop. Sony HD-B1 1TB External Slim Hard Disk : With the trust of Sony, you can use this HD-B1 External Slim Hard Disk to expand your PC’s internal memory. Its huge 1 TB storage space provides you with a resourceful reservoir to accumulate your data for rapid anytime access. ADATA HC660 1TB Ultra-Slim External Hard Drive : Just 9.6mm thick, the HC660 is at the apex of light and stylish external hard drives, available in 1TB and 2TB versions. Easily store your media and files, including the highest fidelity content, without worrying about running out of space.